Here are some of the books that we have bought for school. They have been chosen for their graphics and their interactivity. You can find more book recommendations for primary here and preschool here. There is a list of 25 great books for you to peruse too. Enjoy! The most recent interactive book from the folk at Nosy Crow. Totally gorgeous! I have reviewed it here if you'd like to read more. Another gorgeous interactive book from the people at Nosy Crow - one of the first apps I had on my iPad. Well worth the money, but look out for half price offers and package deals. The Three Little Pigs is another delightful book from the people at Nosy Crow. Superbly animated and with a great sense of humour. Well worth the money, but look out for half price offers. Hairy Maclary is a lovely little book - and narrated by David Tennant too! Check out Slinki Malinki while you are there! Sir Charlie Stinky Socks is a lovely interactive book for younger children. 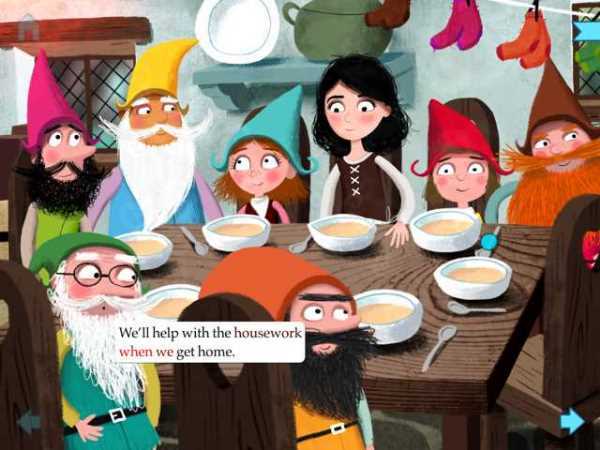 A lovely interactive and modern take on this traditional tale that is sure to inspire your boys! Host app for lots of lovely books (mostly £1.99 each). The free example is worth having though! The Fantastic Flying Books of Mr Morris Lessmore. A thought-provoking story.